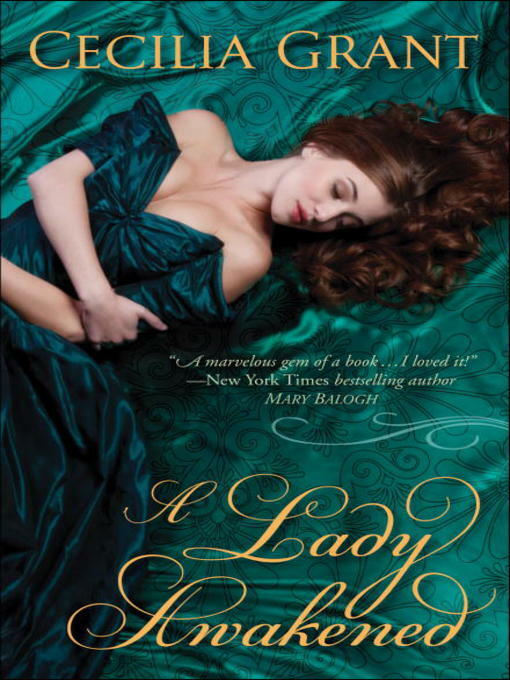 In Cecilia Grant's emotionally rich and deeply passionate Regency romance debut, a deal with a rumored rogue turns a proper young woman into . . . A Lady Awakened. Theophilus Mirkwood ought to be insulted. Should be appalled. But how can he resist this siren in widow's weeds, whose offer is simply too outrageously tempting to decline? Determined she'll get her money's worth, Theo endeavors to awaken this shamefully neglected beauty to the pleasures of the flesh—only to find her dead set against taking any enjoyment in the scandalous bargain. Surely she can't resist him forever. But could a lady's sweet surrender open their hearts to the most unexpected arrival of all . . . love?